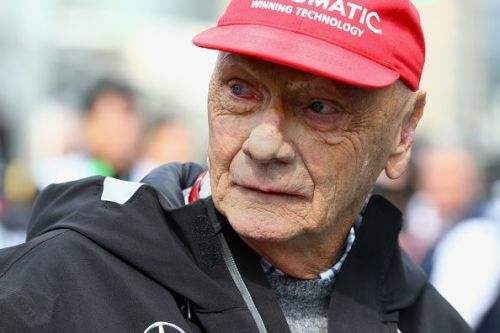 Mercedes non-executive chairman, Niki Lauda, will not return to the F1 paddock this season, the Bild newspaper has reported. The Austrian racing legend was admitted to emergency care while holidaying in Ibiza earlier this year. It was later revealed that he had a lung issue and had to undergo a transplant for it, which is still keeping him under intensive care and preventing outsiders from visiting him in hospital. His fellow boss and good friend, Red Bull chief, Dr. Helmut Marko, has stated that even he has not been allowed to visit Lauda. "Only his family, so his wife and his children, can visit him," said Marko. "The doctors say the danger is that he will become infected with a virus or other people's bacteria. We all miss him. Mercedes misses him, F1 misses him. Everyone misses him - his charisma, his straight words." Lauda has been a constant presence in the Mercedes garage and his joy on seeing his team get pole or a race victory was unparalleled. His paddock mate and Mercedes boss, Toto Wolff had earlier admitted to missing him immensely. He would have been especially happy last time around, with Lewis Hamilton taking victory for Mercedes at Monza, the home race for arch-rivals, Ferrari. He may be modest in saying he got lucky, but the truth was that he held his own against the might of Ferrari, egged on by their home support. Bottas made it an even better day for the team as he was bumped up to third position following a time penalty for Max Verstappen, which helped them maintain a lead on the constructors' standings, again over Ferrari. The grid now moves to Singapore, which has already broken tradition this year by announcing the return of grid girls at his grand prix. Mercedes will be hoping for another break of tradition, akin to last year and hope to finish above Ferrari and Red Bull. They are known to flounder at street races, especially one with as many twists and turns as the Marina Bay. However, Hamilton did go on to take victory after two Ferraris and a Red Bull collided with each other and got eliminated in the first corner itself.